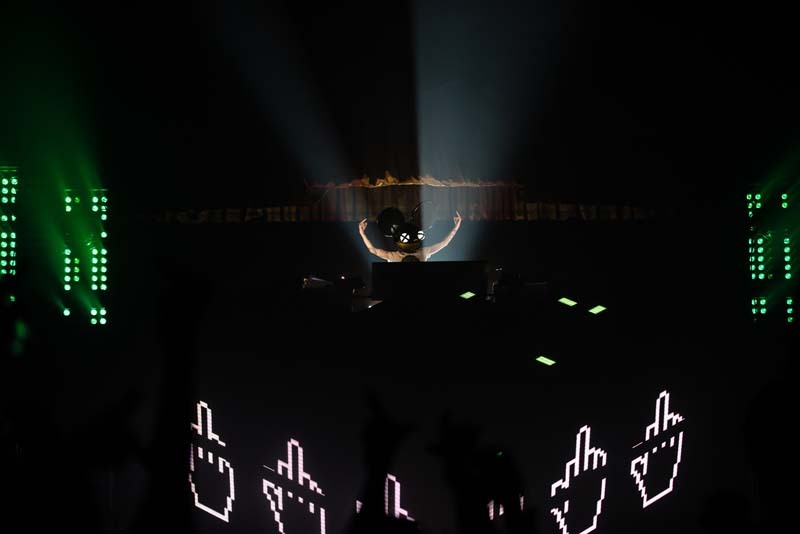 Infamous for both his mouse helmet and illuminating sets, electronic mastermind Deadmau5 has been lighting up the dance scene for years. 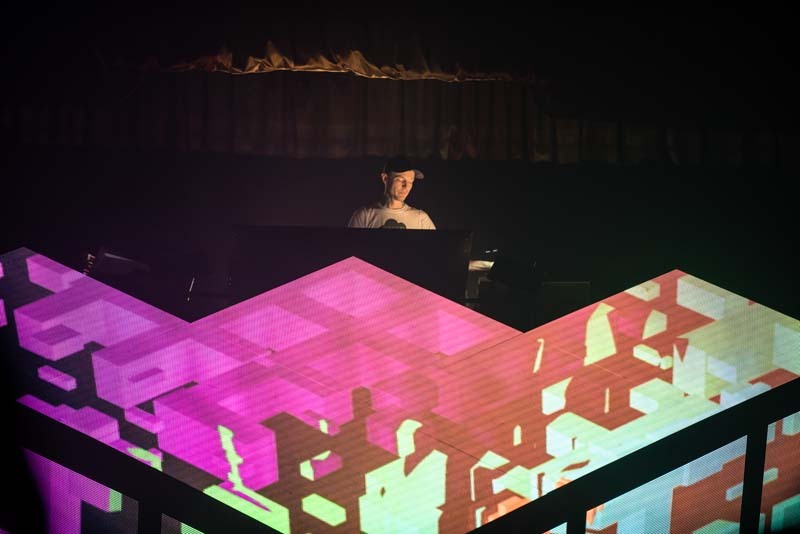 Hailing from Toronto, Joel Zimmerman created the “dead mouse” persona in 1998 and self-released a handful of compilations before his debut studio album Get Scraped hit the shelves in 2005. 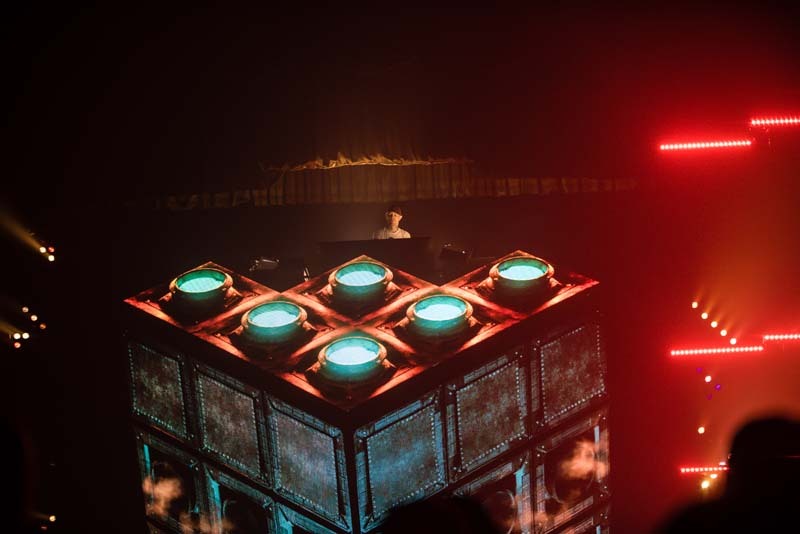 Now, with tons of collabs under his belt, the “Ghost 'n' Stuff” creator is one of the most prominent musical innovators of our time. 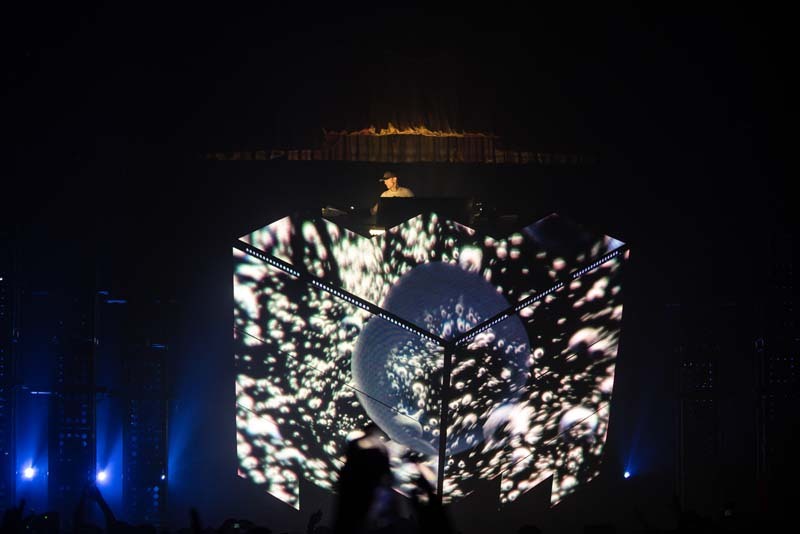 On May 4 at the Aragon Ballroom in Chicago, fans gathered to experience a night of pulsing beats and spectacular lights. 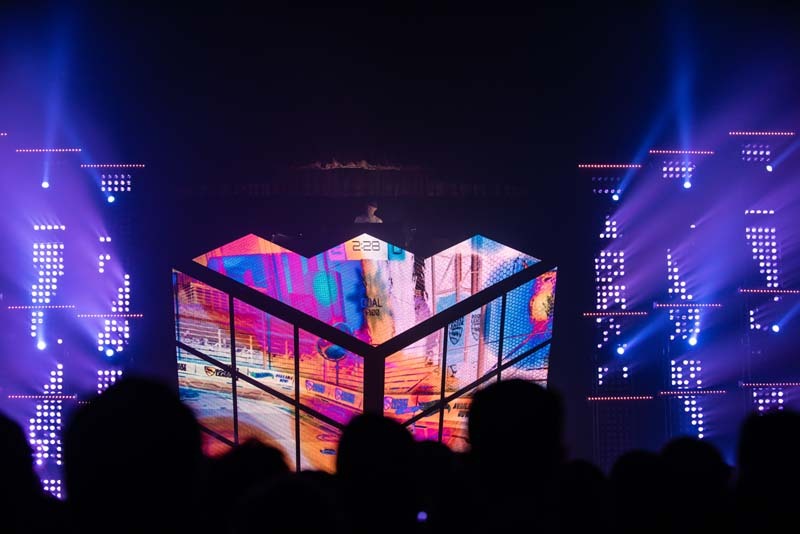 Situated on top of his 17-foot tall, 20-foot wide, and 31-foot deep LED Cube 2.1, (which includes internal robots that cause it to move while projecting graphics), the Canadian musician put on a glowing performance. 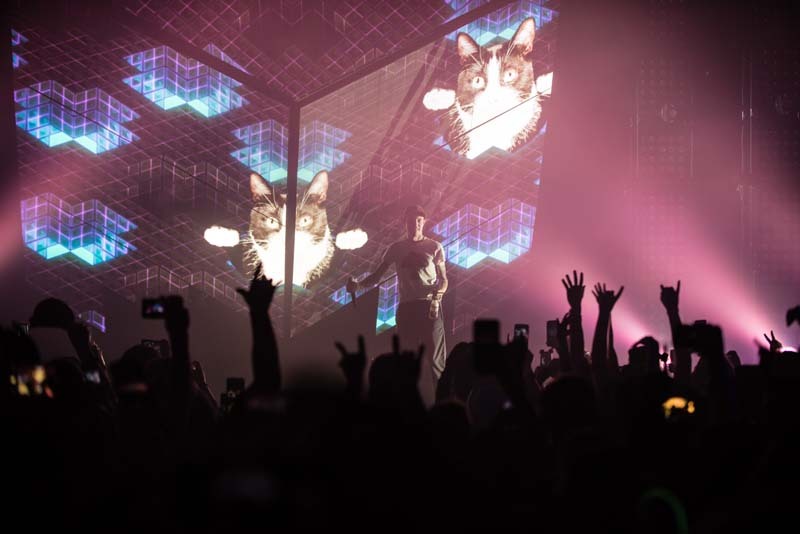 Throwing the crowd into a frenzy as he played favorites like “Strobe” and “Snowcone”, the animated artist eventually removed the mouse head to create a more intimate setting for his fans. 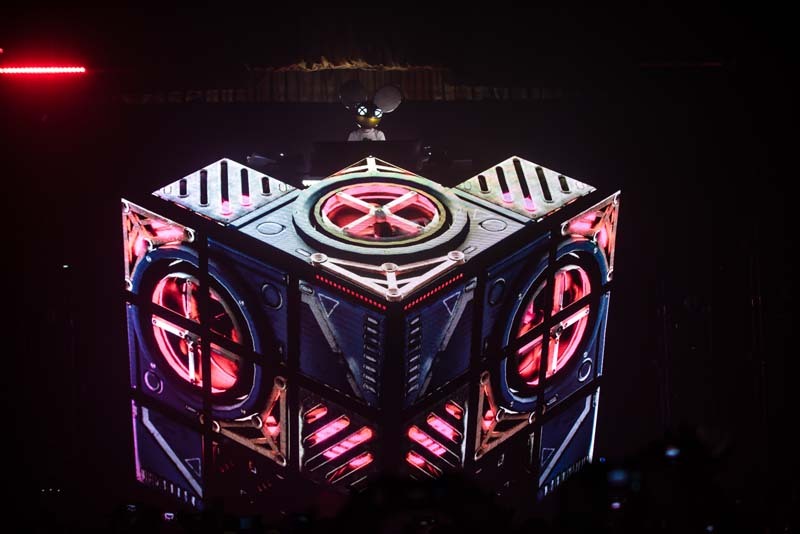 After performing “Raise Your Weapon” as the encore, the beatmaker climbed down from the cube to once again remove his helmet and personally thank the crowd for an unforgettable night. 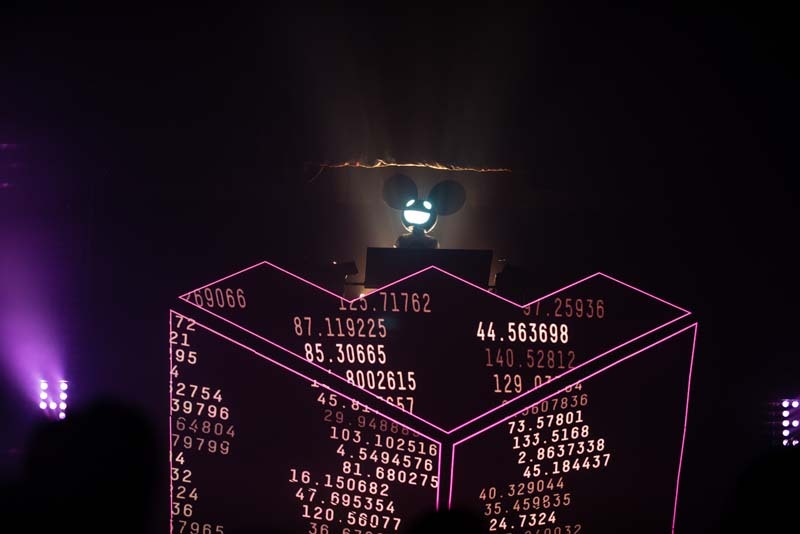 Deadmau5 will continue his tour throughout the summer and fall before wrapping up at the Bell MTS Centre in Winnipeg, Canada on October 31. 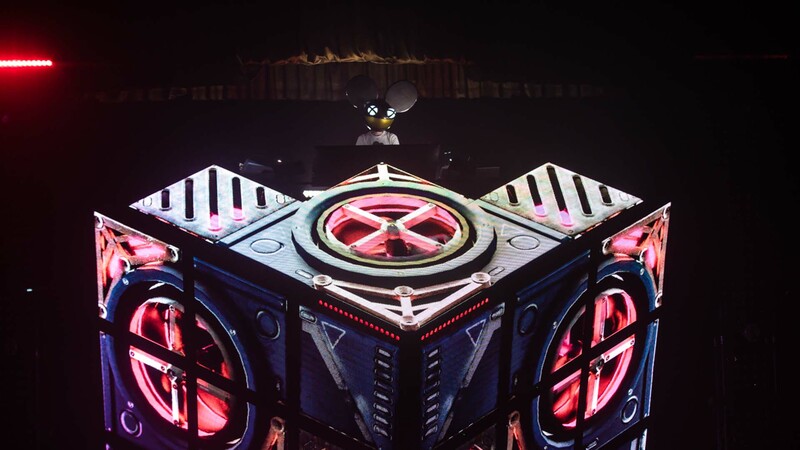 Check out of the photos of this wild Deadmau5 show below and make sure to Track him so you can catch a performance in a city near you!